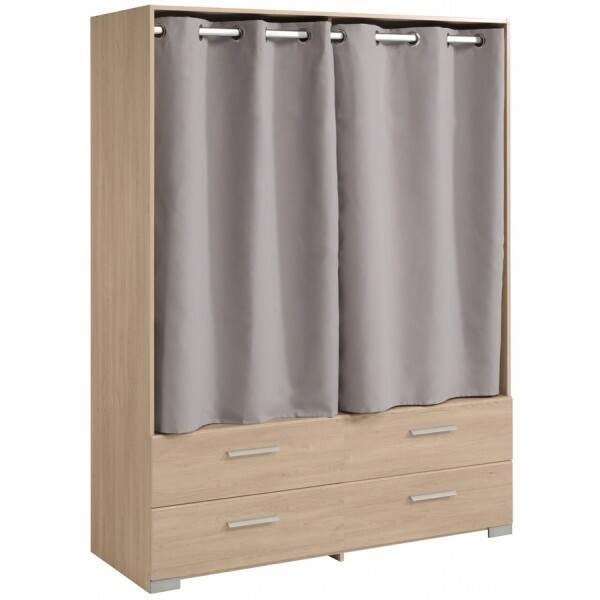 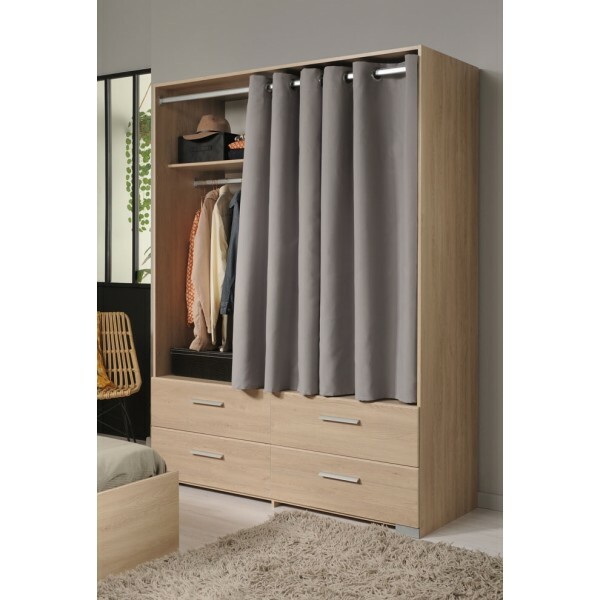 The Parisot Ekko curtained wardrobe has a fabulous contemporary design that will look great in either a traditional or modern home. 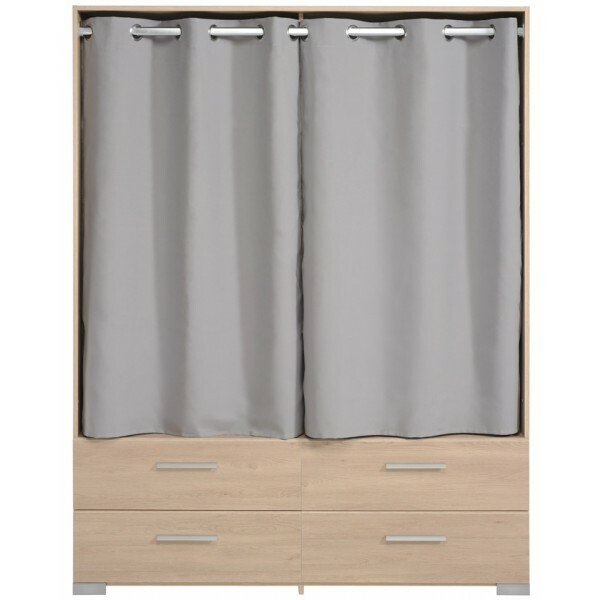 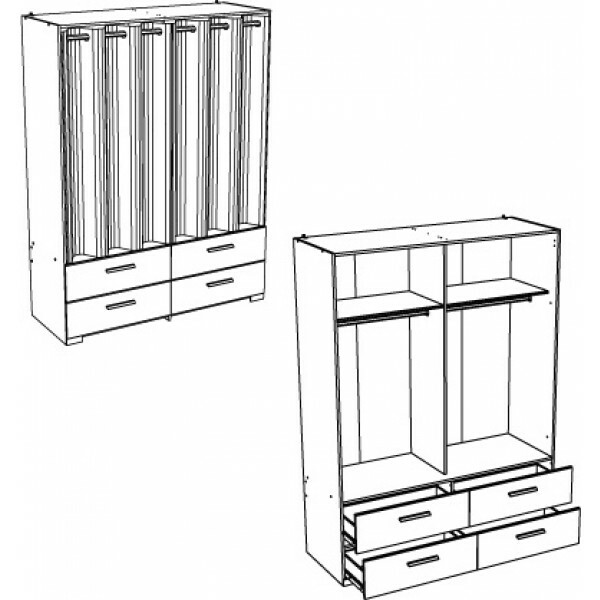 The upper body of the wardrobe consists of a double storage space featuring a shelf and hanging rail on each side neatly concealed by a lovely heavy duty cotton pair of curtains in light grey. 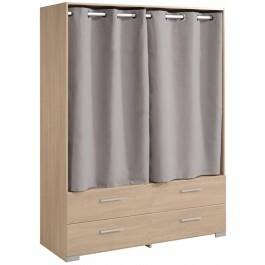 Below this are 4 spacious drawers creating a very stylish overall look. 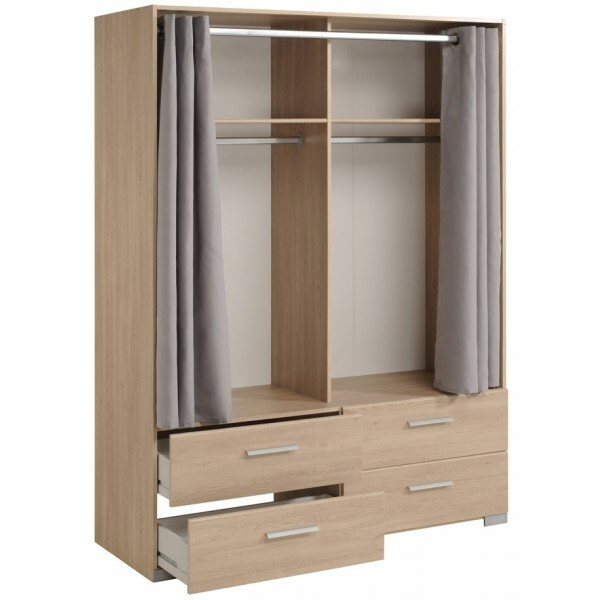 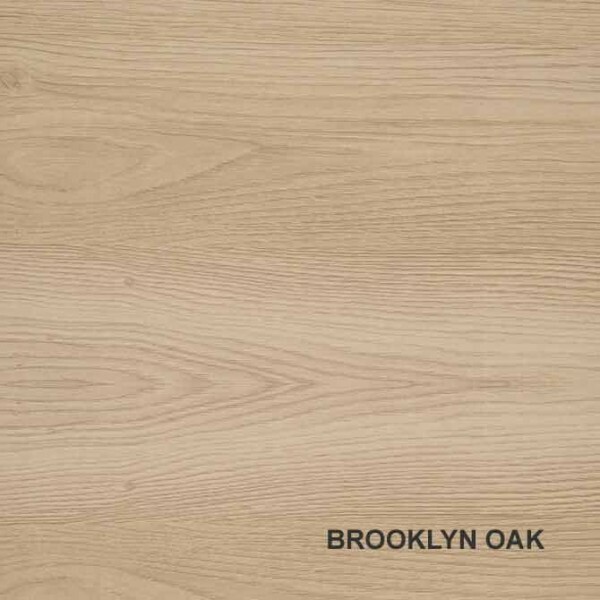 This fabulous Parisot Ekko curtained wardrobe is finished in a gorgeous natural looking Brooklyn Oak wood effect that will match not only our Ekko collection but all our Brooklyn Oak finished furniture.